If you’re reading this the chances are you’re already familiar with Cubetto. The toy’s cube shape. Its two wheels. That winning smile. 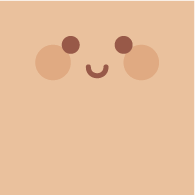 The very definition of a friendly wooden robot. But when we started out in 2012, Cubetto looked very different. Today, more and more people in the know believe robots for kids aren’t just fun, but a great learning tool too. Whether it be by opening up STEM subjects, the scientific method of inquiry and problem-solving; or – like the best kinds of screen-less, hands-on learning – by encouraging collaboration and nurturing creativity. 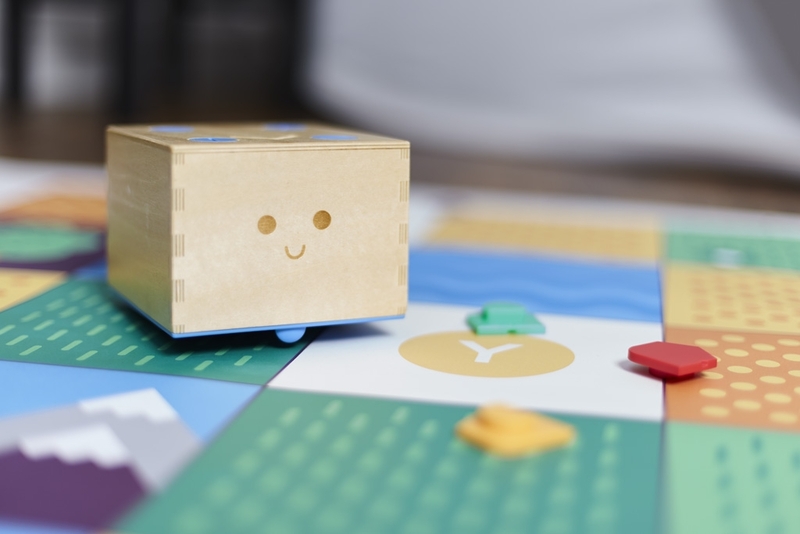 In this, the latest in an ongoing series of in-depth blog posts, we tell the story of how Cubetto became the coding robot for children that it is today. We also explore why robots are excellent learning buddies for pre-schoolers and beyond. 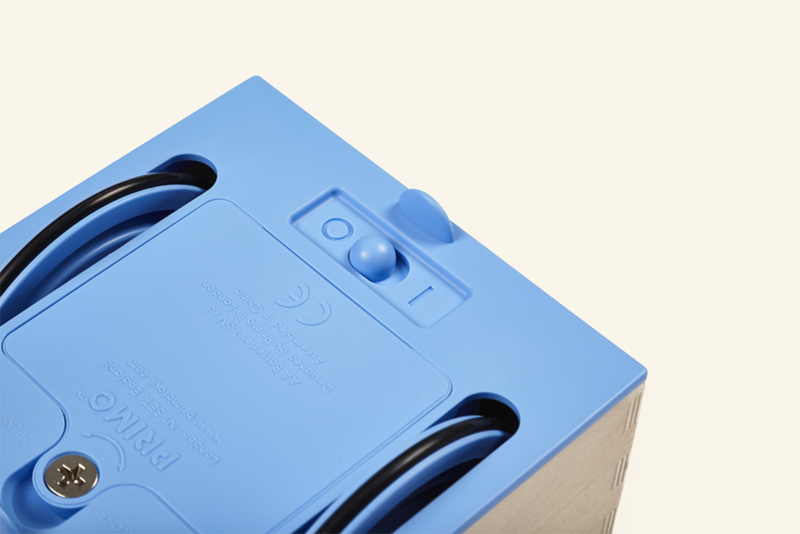 We dip into the history of one especially influential educational robot. 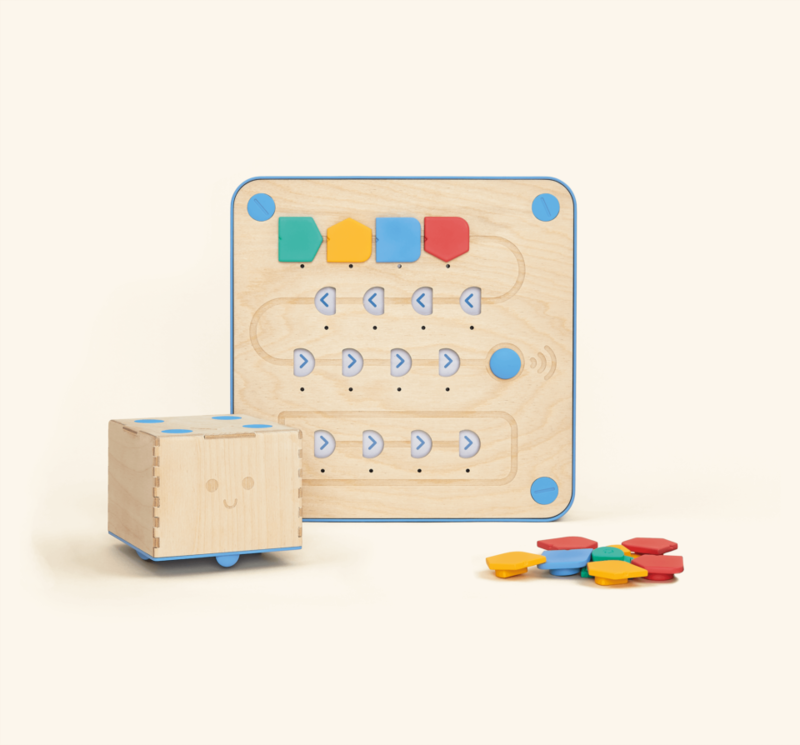 And finally we scope out three ways to help open up robotics to kids, and how you can apply these to Cubetto. Back in 2012 when we built the first ever prototype of the the Cubetto Playset, it wasn’t so different to how it is now: a screen-less wooden playset, programmed by a tangible coding language. 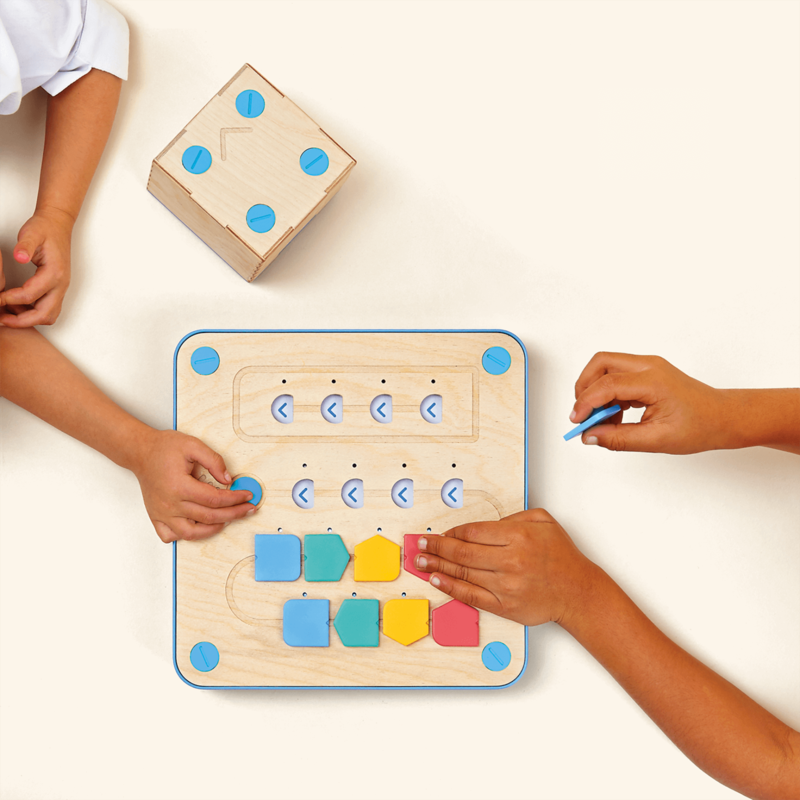 The big difference was instead of Cubetto, we had, that’s right, a programmable car (check out the the photo below!). We immediately spotted one big problem with the car. 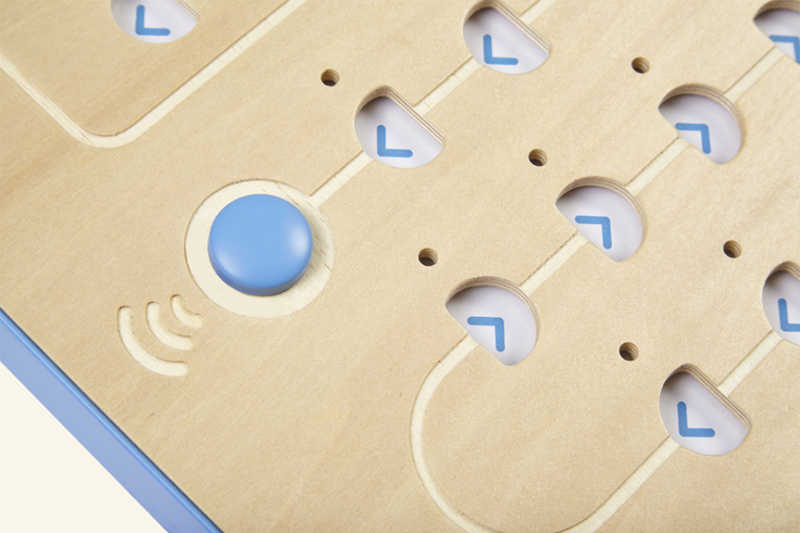 We wanted to create a genderless, cross-cultural toy that any child, from any background, could play with. And, well, many still consider cars to be ‘boys’ toys’. Hmm. But then we started seeing other problems too. Without a face, the car lacked personality. We also noticed that even though children playing with it did so in imaginative and surprising ways, it was always in driving scenarios – driving to the shops, driving to see a friend, races and car chases. Our solution? Take it back to basics. A simple cube could make the toy gender-neutral, while little eyes and a cheeky smile could give it plenty of character. When we finally stepped back we realised that we were staring into the eyes of a robot. Kids loved it. And so Cubetto was born. It seems kind of obvious now that making Cubetto more roboty would solve our problems. After all, robots have been sparking kids’ imaginations with the help of cinema, children’s authors and cartoonists for generations. Think of Star Wars’ R2D2 and more recently plucky BB-8. Ted Hughes’ modern fairy tale, The Iron Man, has become a set text at many schools for young learners. And the team here at Primo Toys HQ couldn’t imagine our childhoods without the likes of Short Circuit’s Jonny 5, Wall-E and even Rosie, the robot maid from the Jetsons. So why are children drawn to robots? Ackerman’s insight comes from a 2012 study from international research agency Latitude, which asked children around the world: ‘What would happen if robots were a part of your everyday life – at school and beyond?’ The answers were overwhelmingly positive. Put simply: because children are naturally inventive and open, they find the combination of part-machine, part-human, both enchanting and liberating. If we were just a toy company, the fun that kids get from playing with robots would be an end in itself. But we’re also an education company, so what are the educational benefits that toying with robots can bring kids? Here are five big ones. It almost sounds counter-intuitive: machines reliant on logical thinking and mathematical principles are also great creative companions. But of course that’s exactly what they become. 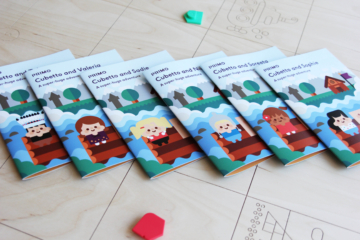 At workshops and nurseries we see this up close, and we’re always excited to witness how quickly children befriend Cubetto, and how its personality and adventures change from child to child. Many of you will know that we’re big champions of Maria Montessori. It wouldn’t be going too far to say that her kinaesthetic learning principles influence everything we do and make. Robotics builds on this tradition by encouraging kids to learn by doing – they have to create, inquire and play in order to test their own knowledge and the boundaries of what’s possible for their mechanical friend. Through trial and improvement, their own free and independent thinking, and also collaborating and sharing ideas with the kids around them, children educate themselves and each other through programming robots. You’ll already know that, like so many world-leading organisations, policy makers and entrepreneurs, we think teaching kids computational thinking is more important than ever. In the last few years various countries, including the US and the UK, have put their weight behind new computer curriculums to help create a new generation of Mark Zuckerbergs. One of the big problems with computational thinking is that it’s very, very abstract. That means that even teaching kids the fundamentals – algorithms, the queue, recursions and debugging – without a physical interface is near impossible. The past year, 2016, has been a big year for horror stories about killer robots and malicious artificial intelligence, helped along by predictions from the likes of Oxford University that in the next 20 years, as many as 47 per cent of jobs in the United States will become completely automated. As the robotics industry grows, robot anxiety is likely to grow, not decrease. ‘Understanding what machines can and can’t do is the best way to address fears’, says Professor Stirling. We’d add that demystifying robots, and indeed all tech, gives kids the skills to adapt and remodel the technological world around them. They can learn to create with technology rather than just becoming passive consumers. Top tech entrepreneurs like Elon Musk (Tesla) and Jeff Bezos (Amazon) and many others are investing billions in robotics, from fleets of self-driving cars to flocks of drones. The Bank of America has forecast that by 2020 the market for robots and its close cousin artificial intelligence will be as much as $153bn. 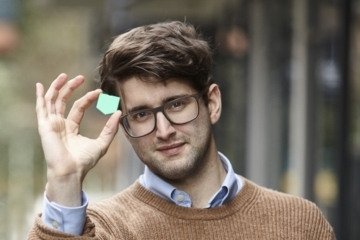 Whizzkid coders and engineers, who can code and build these innovations, are in hot demand. No wonder MIT Media Lab has called coding ‘the new literacy’. The role of the robot in learning really got going in the late 1960s when Seymour Papert, the grandfather of educational coding, created his ingenious programming language, Logo. 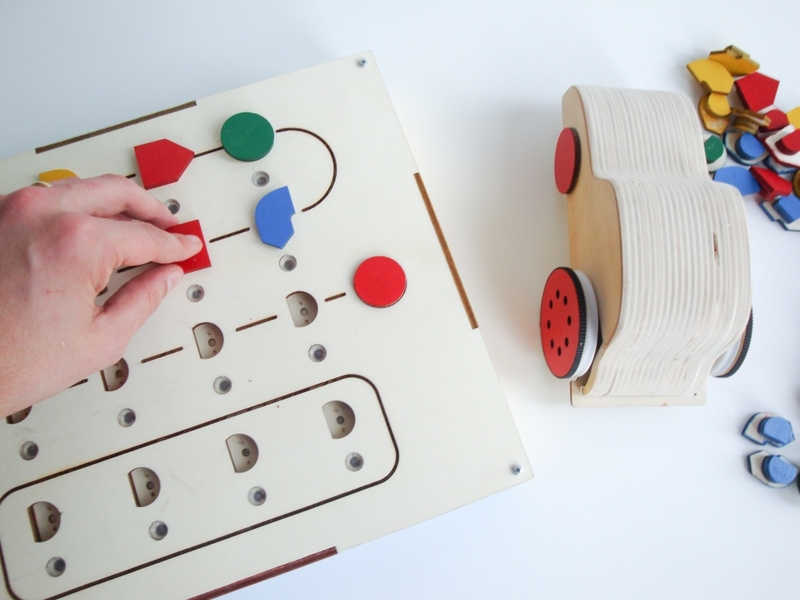 With Logo, the child writes commands for movement to produce line graphics, either on screen or in the real world, with a small robot – a turtle armed with a pen. With LOGO Turtle, for the first time, kids could play and learn complex programming by focusing on a screenless, creative outcome via a robot. LOGO Turtle opened up robotics and computational thinking to generations of children, including many of us in the Primo Toys team – in fact, you may already know we used Logo as the basis for our own tangible coding language. In the past few years, we’ve seen the creation of a growing number of exciting new coding toys and kids’ robots that teach the basics of computational thinking. (Just Google ‘robot for child’ and you’ll see what we mean.) To our minds, the best of them always have facets of Papert’s thinking at their core. So robots can be a gateway into computational thinking, they can introduce hands-on learning, help nurture creativity and also encourage social interaction. What are the best ways to encourage children, especially preschoolers, to begin learning and playing with robots, if they aren’t already? They came up with different approaches, or gateways, which they believe can really help open up robotics to more kids. We chart three of them below, along with some tips that make them applicable to Cubetto. A common problem with most robotics workshops or classes is that they focus on a single ‘engineering’ aim – normally it’s something like ‘Program your robot to move through this obstacle course.’ Exciting for a small group of kids but maybe less so for others. However, if you focus on a theme (for instance the natural world, kids’ robot games, sports, etc), the possibilities of the class open up, and so does the appeal to learners. What’s more, the team at MIT highlighted that a broader, looser thematic approach changes the activity from a strict problem-solving exercise dictated by the parent or teacher, into a problem-finding exercise. Basically that means that the child has greater autonomy, and is therefore more likely to benefit from those advantages (creativity, self-reflection, social interaction), that we mentioned above. With Cubetto we created different maps which represent different worlds, from the Deep Sea and Ancient Egypt to Outer Space. Each time a different map is used, the context and the activity changes. You can easily twin the Ancient Egypt map with a history lesson, the Deep Sea map with a neat opportunity to explore ecology, and use the Outer Space map to start a sci-fi adventure where the child’s imagination is the only limit. 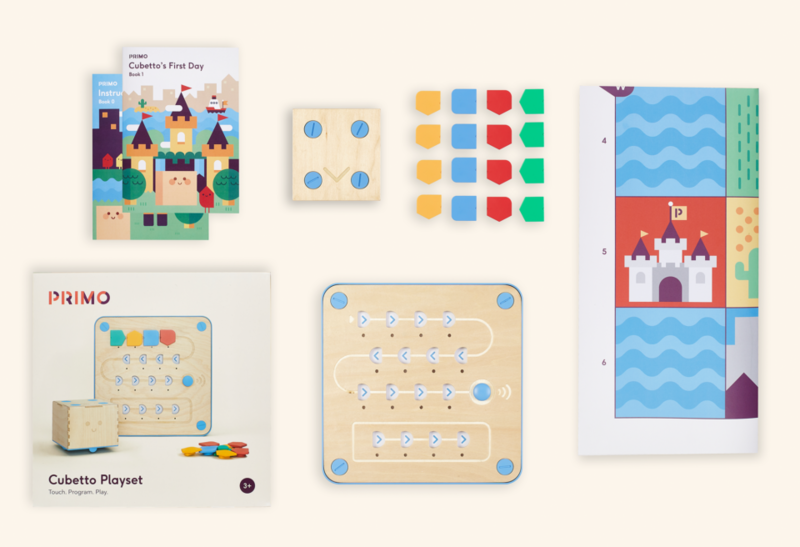 To keep things fresh and to make sure all children are fully engaged, try switching the theme (or the map) every time Cubetto comes out of the box. In 1979, Harvard’s Project Zero looked the different ways children played with toys, and came to identify two different groups. ‘Patterners’ liked playing with blocks and puzzles, while ‘dramatists’ preferred dolls and toy animals and cars for pretend play and social interaction. Traditionally, gateways into robotics have favoured ‘patterns’. However, by building workshops or play sessions around a story (like a trip to a fairground, or a fairy tale), it’s possible to engage ‘dramatists’ as well. On top of that, the MIT team suggest that if kids are encouraged to keep scrapbooks of these stories, a storytelling approach can also improve reading, writing and literacy at a young age too. The maps we mentioned above are a great place to start when it comes to telling stories. But you can also experiment with your own picture books and famous children’s stories, or encourage kids to dream up new ones. Perhaps one day Cubetto is a brave princess on her way to fight a dragon; maybe another day Cubetto is a famous footballer or character from a Disney film. Educators and parents we know have had fun with all of these examples. As we’ve mentioned already, the standard obstacle course approach isn’t likely to appeal to more than a narrow group of children. Art, the MIT academics argue, can also open things up for a more diverse group of kids. Making things more colourful (literally) can help bring robotics to life. Try making Cubetto into an artist. We’ve seen wonderful activities that involve strapping paintbrushes, pens and pencils to its shell to program different drawings and pictures, all programmed by kids themselves. 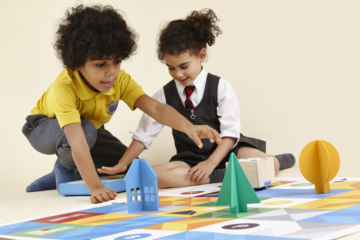 We’d love to know more about how you and your kids play and interact with Cubetto. Send us your stories and tips here. Until the next adventure!